Wondering what to do with all those Fourth of July photos? Cubes are a great way to go. These cubes incorporate Fourth Of July’s over several years. 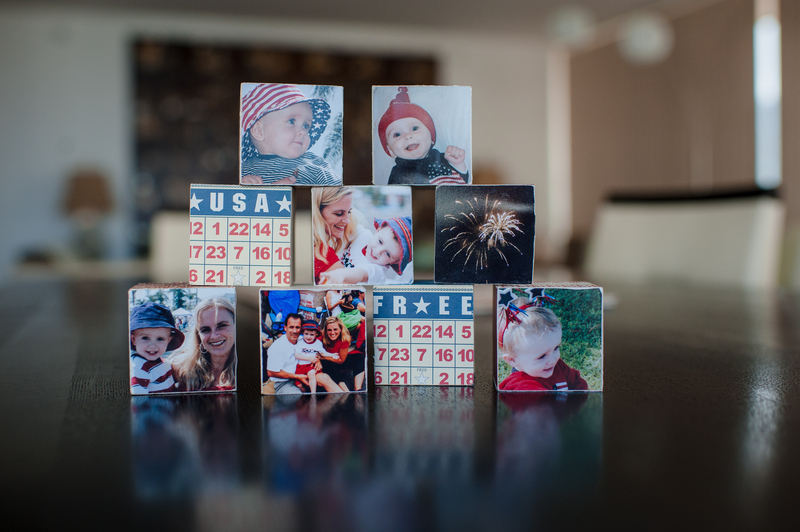 You can pick up 2″ blocks at Michael’s, print some photos, find some red,white and blue paper, and adhere it all the blocks. Quick, easy and a fun decoration to add your summer decor. This entry was posted in Fourth of July, holidays, Projects, summer and tagged Fourth of July, holidays, projects, summer by mabufive. Bookmark the permalink. I love this idea! My friend and I get together once in a while to do pinterest projects…this time we might have to have a MARY project!! !